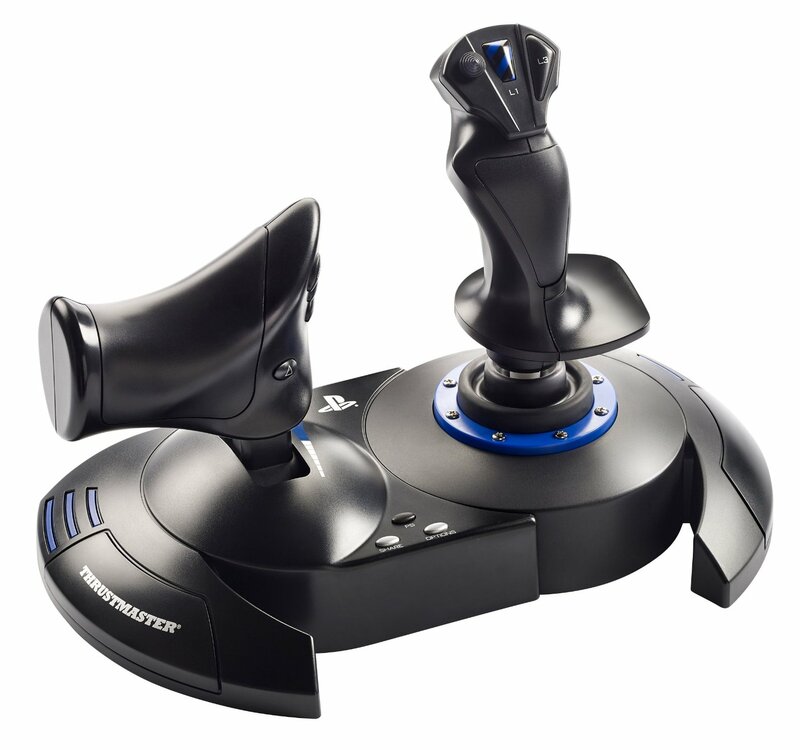 Take off to the skies with the Thrustmaster T.Flight Hotas 4 with War Thunder Starter Pack. 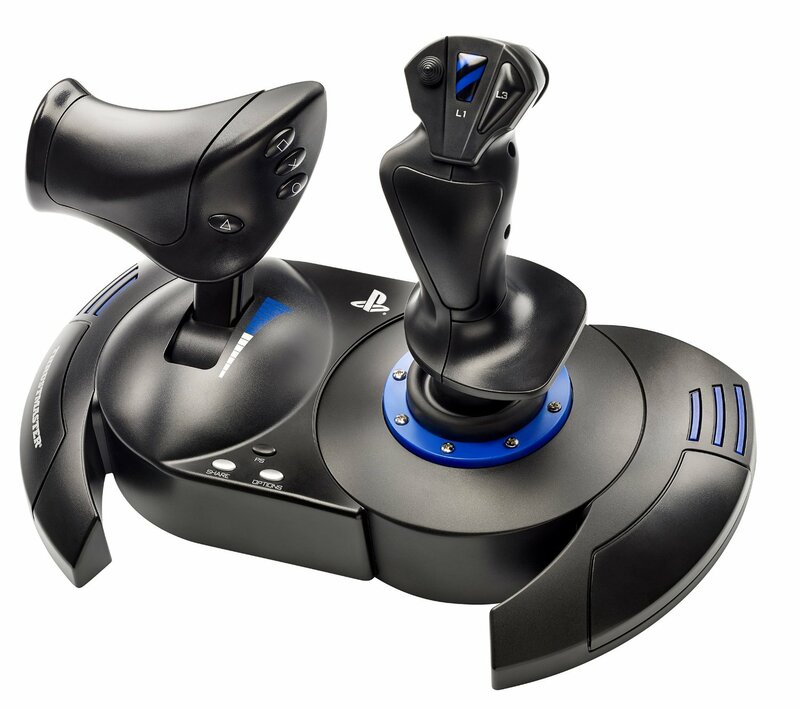 This joystick features adjustable stick resistance, a real-size detachable throttle, a dual-rudder system, and a built-in PS4 / PC sliding switch. 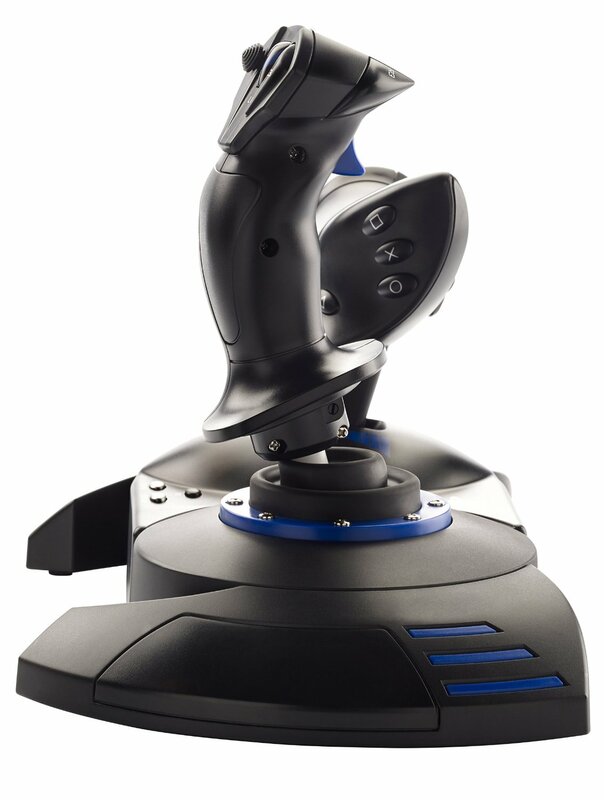 It is PlayStation 4-certified and will automatically be recognized when plugged into a PS4. 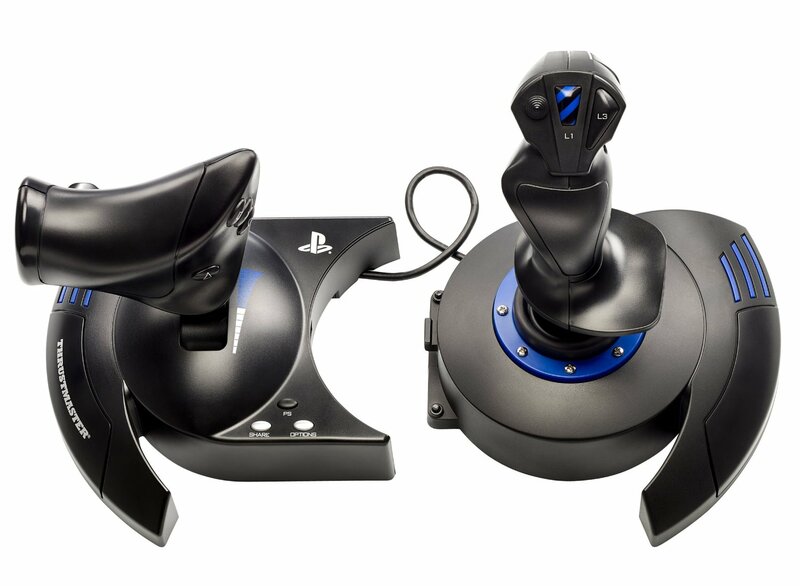 Official PlayStation, Share, and Option buttons are also included. 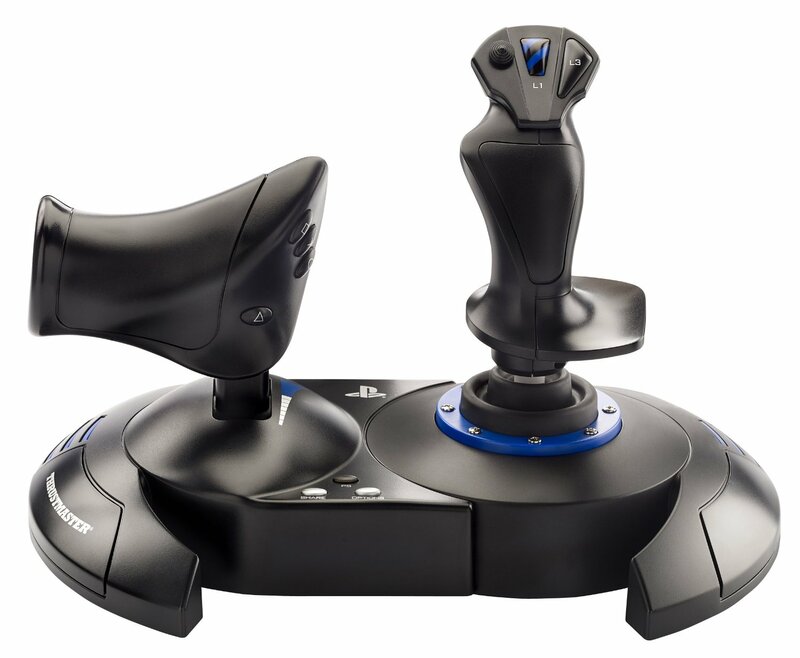 The Hotas 4 Flight Stick is compatible with Windows PCs via downloadable drivers available on the Thrustmaster website.